When most people think about a Las Vegas vacation, they immediately think of the glitz and glamour of the Strip, opulent casino resorts, the world-class cuisine, and amazing shows. However, there's an entirely different side to Las Vegas that's located off of the Strip! 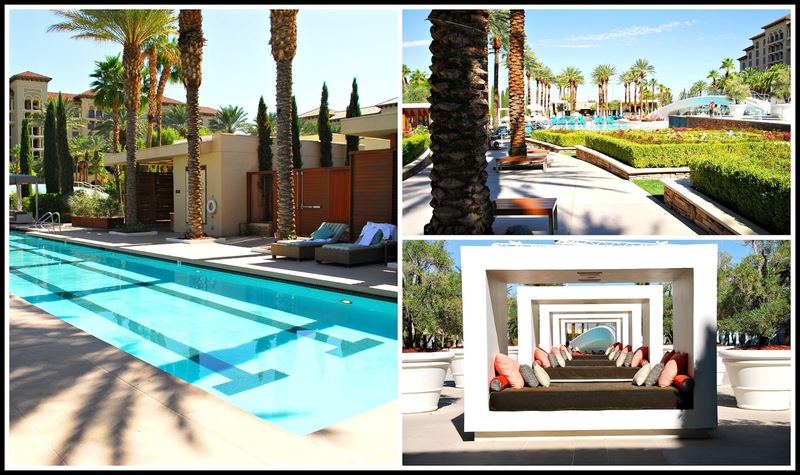 During our recent Las Vegas getaway, we rented a car and spent a relaxing day exploring the more laid-back side of the area. 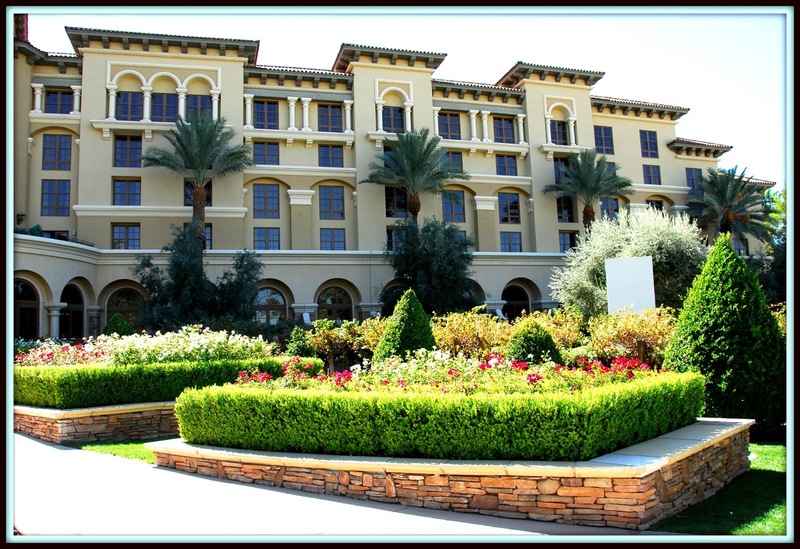 We started our day with a fabulous breakfast buffet and luxurious spa treatments at Green Valley Ranch Resort, located in nearby Henderson. 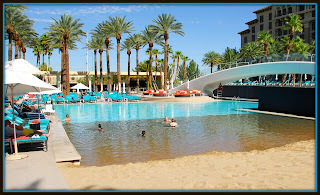 This gorgeous Mediterranean-style AAA Four Diamond resort and spa is located about 20 minutes southeast of Las Vegas. We started our visit with breakfast at the resort's Feast Buffet. 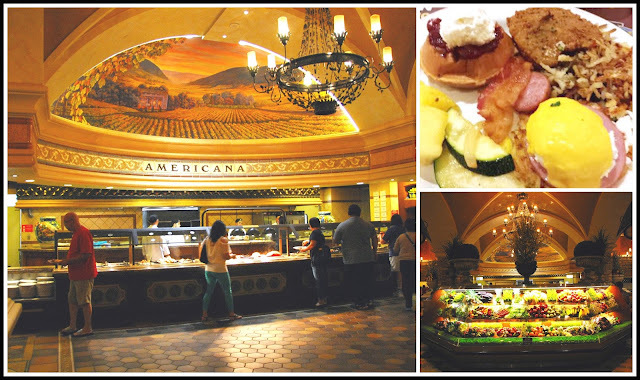 The buffet features a wide range of hot and cold breakfast foods served in an elegant setting. Some of the items we could choose from included fresh fruit, freshly baked pastries, and custom omelettes. We especially loved the Eggs Benedict and the mini Belgian waffles topped with fresh fruit compote. Not only is the breakfast buffet at Feast tasty -- it's a total bargain too. Each morning Monday through Saturday, this buffet is priced under $10 per person! After breakfast, we headed over to Green Valley Ranch's award-winning salon and spa for some much-needed pampering. While my Social Media Manager Crystal enjoyed a relaxing 90-minute massage in the spa, I indulged in a 60-minute spa pedicure and a haircut at the adjacent salon! 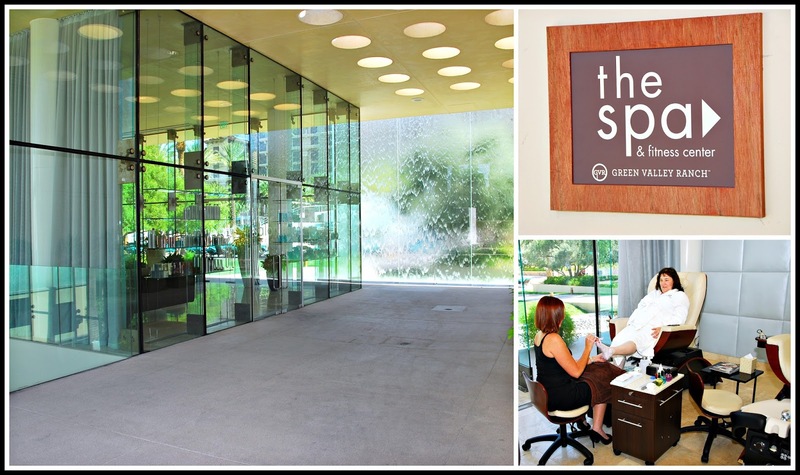 The atmosphere of this very spacious salon and spa complex is totally relaxed and elegant. It also features tons of natural light thanks to numerous floor-to-ceiling windows. The changing area features soothing music, plush robes, flavored spa water, and even a few healthy snacks. We left the spa and salon 2 hours later completely relaxed -- and I was even sporting a new hairstyle and gorgeous red toenails! While us ladies enjoyed our time at the spa, the men relaxed a bit at the spa's adjacent beach-like pool, where they enjoyed some cold beverages and took in the...ahem...scenery. 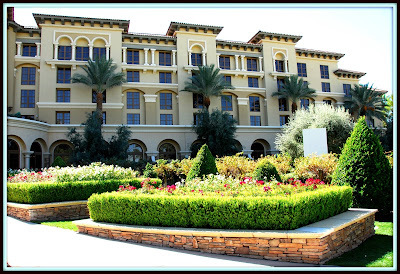 They also took some time to explore the manicured grounds of the Green Valley Ranch Resort & Spa and its gorgeous landscaping. Everywhere you turn here, there's a gorgeous vista that catches your eye! I have to share a new electronic find with you that really came in handy during our daylong excursion off the Strip. My cell phone tends to use a lot of battery power very quickly -- and it can be really hard to locate an electrical outlet to keep your phone charged up when we're on the go. My new go-to solution? 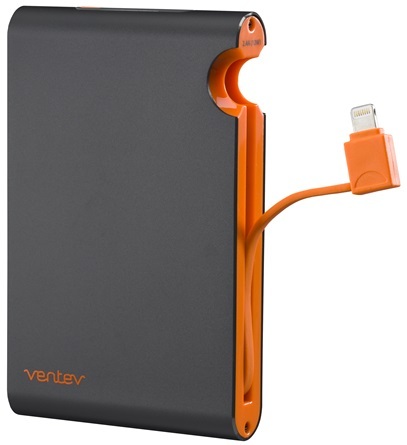 Ventev's amazing powercell 6000c portable battery charger! I simply plug in the charger overnight while we're sleeping. Then, I never have to worry about running out of battery power when we're visiting restaurants or attractions during our culinary travelogues! This portable charger comes in version for both Android and Apple phones, and it provides me at least one full recharge if it's fully charged overnigh. This handy device truly takes the stress out of my day when we travel. 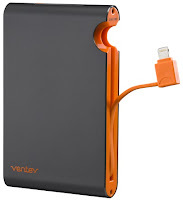 I never have to miss a call -- or social media share -- with my colorful orange Venvev powercell 6oooc! 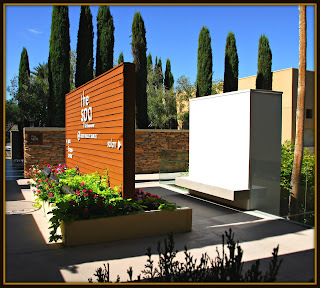 Before we knew it, our time at Green Valley Ranch was over. 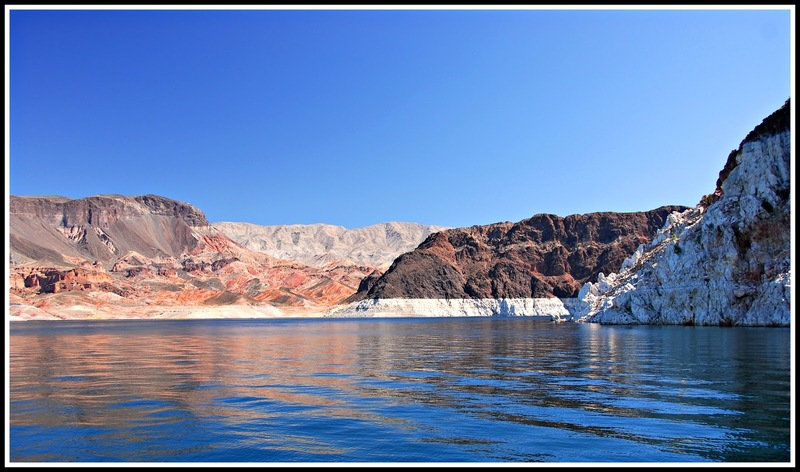 It was time to head to nearby Boulder City to enjoy a relaxing paddle boat tour of Lake Mead! Lake Mead Cruises offers a variety of cruises on its Desert Princess paddle boat. 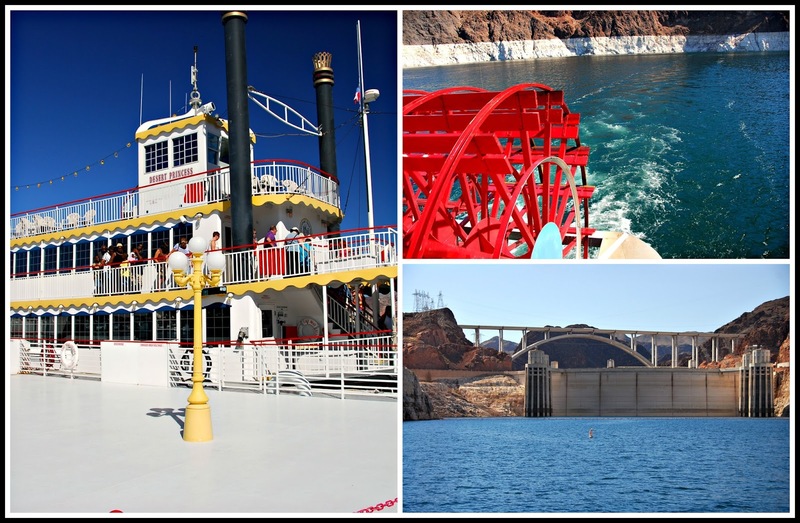 Built especially to cruise the clear, blue waters Lake Mead and its views of Hoover Dam, this three-level, Mississippi style paddle wheeler provides a relaxing sightseeing experience. During our 90-minute Mid-Day Sightseeing Cruise, we enjoyed clear blue skies and gorgeous natural scenery. This cruise was provided the perfect break from the to the glitz and glamour of the Vegas Strip! 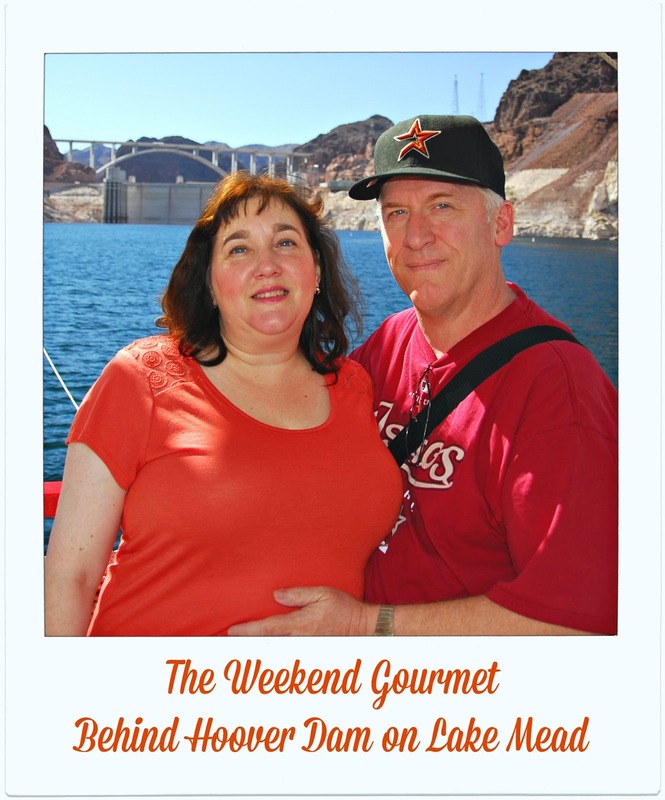 During our cruise of Lake Mead, a narrator shared the interesting history of Boulder Dam -- now known as Hoover Dam. Our cruise even included close-up views of the back side of this massive dam. 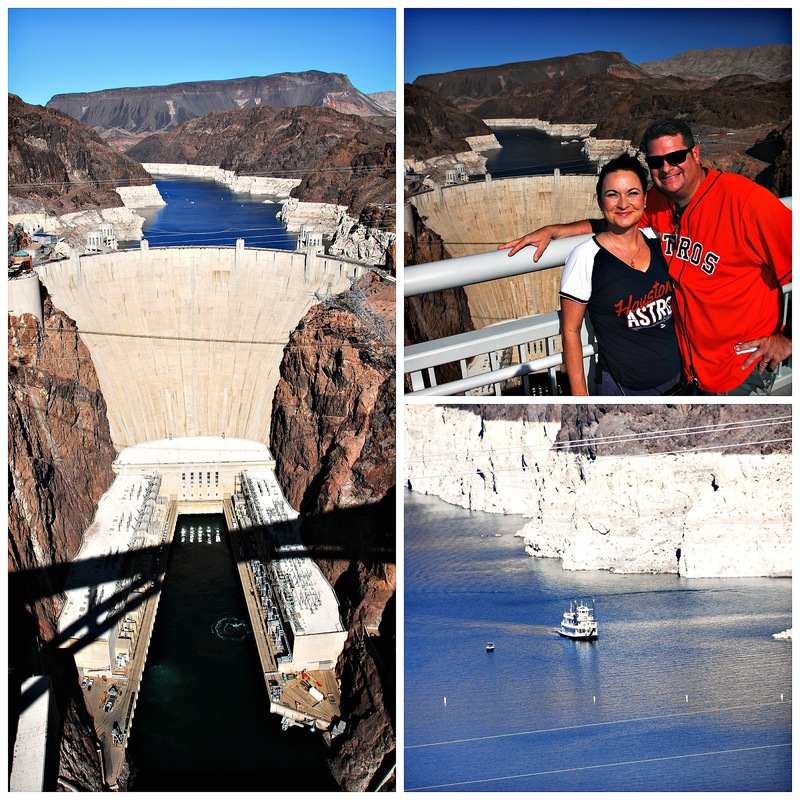 After our tour was over, we decided to get a closer look at Hoover Dam via the Mike O'Callaghan – Pat Tillman Memorial Bridge. Opened in 2010, this arch-style bridge crosses over the Colorado River in both Nevada and Arizona. At one point, you can stand on the bridge and have one foot in both states at the same time! The bridge also offers a pedestrian walkway that provides amazing views of Hoover Dam -- about 800 feet below. Before we left, Mark and Crystal from my social media team handed Michael their camera so they could pose for a picture with Hoover Dam in the background. With that, our day of exploring off the Strip was over. We headed back to our resort in Las Vegas with some amazing memories of the more relaxed side of this amazing region. Keep in mind that you'll need to rent a vehicle to visit the locations featured in this article. It's simple to do, though. All of the big-name national rental agencies are located at McCarran Airport's convenient, centralized Rent-a-Car Center. Many of the larger casino resorts on the Strip also provide on-site car rentals. 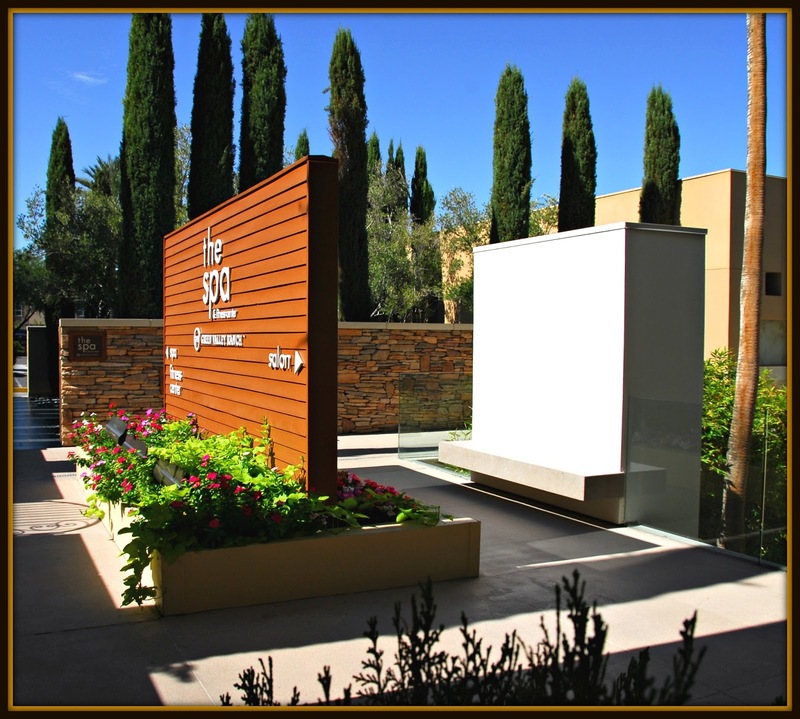 Simply ask the concierge at your resort to see if this service is available. Disclosure: Green Valley Ranch provided us with complimentary breakfast buffets and spa treatments to facilitate inclusion in this article. Lake Mead Cruises also provided us with discounted sightseeing cruises. All opinions expressed are solely mine, and all photographs are copyrighted by Michael Garcia. They may not be copied or otherwise used without prior permission.